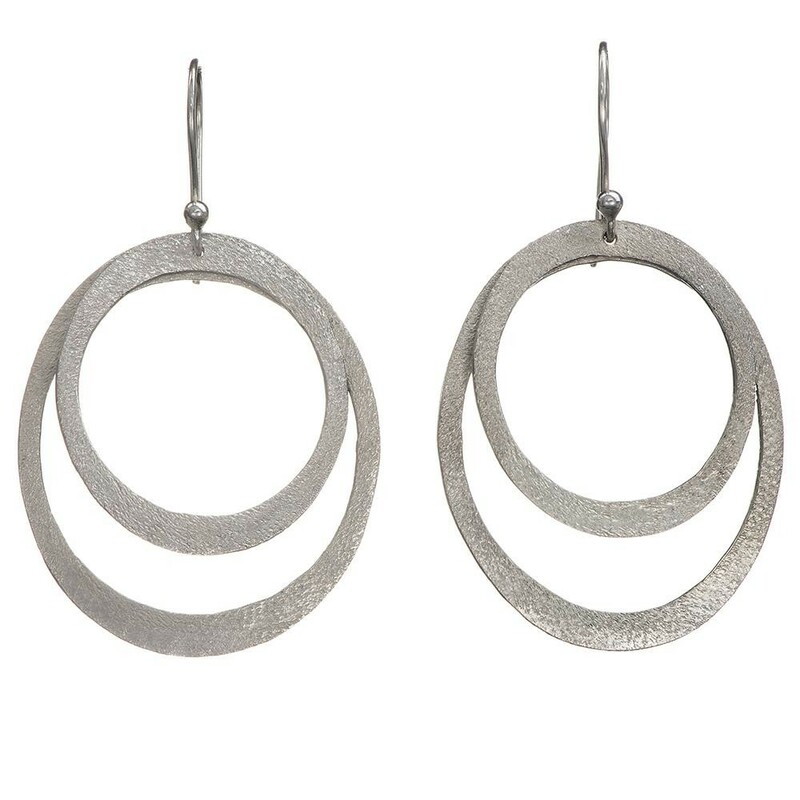 The bumpy texture of these twin hoop dangle earrings nestle together in a simple design style. This texture has been gently hammered into the sterling silver surfaces of this piece, to create a look that... Read more. The bumpy texture of these twin hoop dangle earrings nestle together in a simple design style. This texture has been gently hammered into the sterling silver surfaces of this piece, to create a look that's both playful enough to party, but also refined enough to wear to work. Carefully fabricated by hand by an artisan from Bali.